Pac-Man is a 1992 EP by electronic music artist Richard D. James (a.k.a. 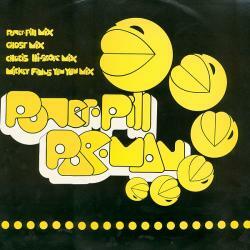 Aphex Twin), released under the pseudonym of Power-Pill. The tracks on the album are remixes of the musical themes in the Pac-Man arcade game.